We created a prototype to see if we could match a cover image from a photo of the cover of a book. Students are in a book store or school library or a friends house, they see a book they might be interested in. 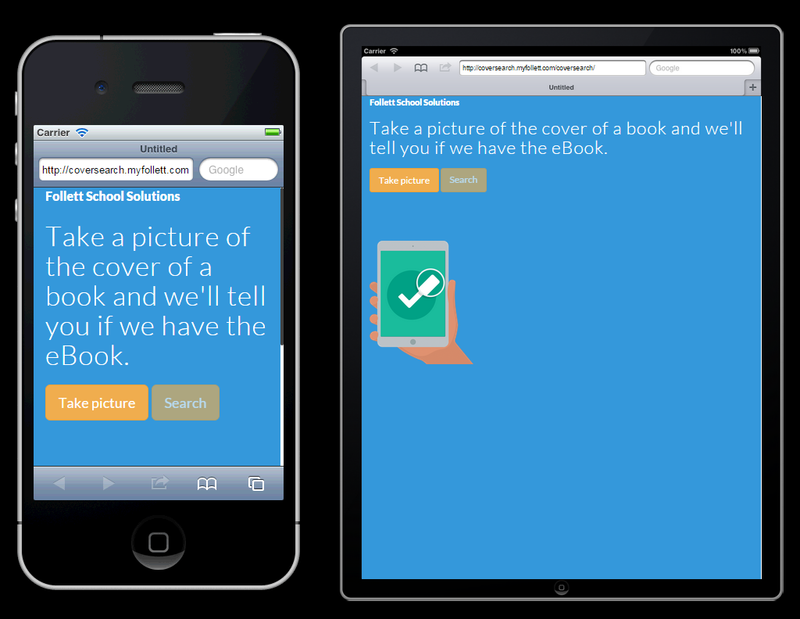 They take a picture of the book with their camera on their smart phone, upload it to our Follett service which matches the cover image to a book in that students schools collection (FollettShelf or Universal Search or Destiny, etc.). When a match is made it will show the status of the book, if there is a physical or electronic book, they can put a hold on it, etc. Teachers use Follett’s TitleWave service to find and purchase books. Instead of searching for the book, they could take a photo of a book they want and our Follett service would show the matching results. The resulting prototype has a limited database of just over 1 million indexed cover images of Follett eBooks. 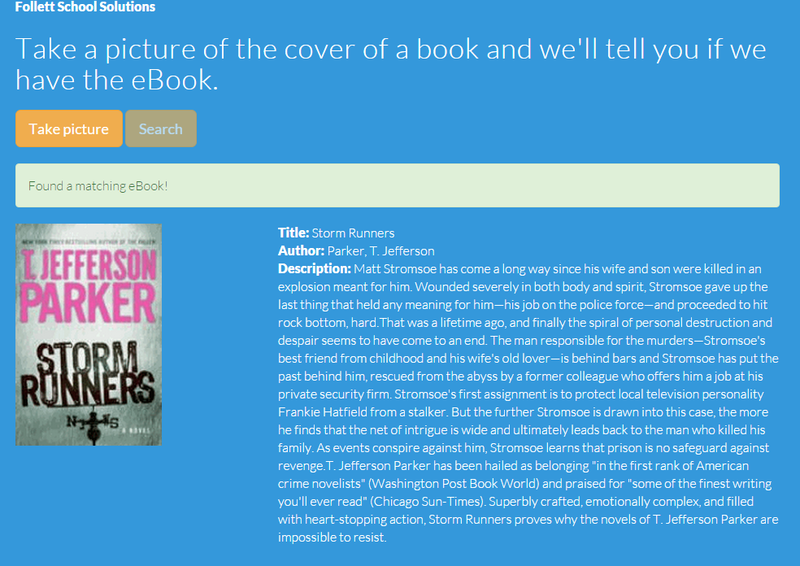 Our prototype allows you to take a photo of a cover, it uploads it to our service and we try and find a match. The prototype will tell you if that book is available as an ebook. The demo works on any device with a camera, as well as within a computer browser. Just select the cover image you want to match and click Search.